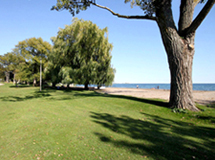 Long Branch is one of 4 lakefront communities in South Etobicoke and it alone enjoys the distinction and bragging rights for having the most freehold waterfront properties! Long Branch was established in the early 1880s when this part of Etobicoke was cottage country within easy commuting distance for those needing to escape the stifling summer heat and humidity of downtown Toronto. Back then, an American entrepreneur named Thomas Wilkie established a recreational park in the heart of present-day Long Branch on 75 acres of land. Here Wilkie established Long Branch Park based on a similar concept in Long Branch, New Jersey. He built 250 Queen Anne-style cottages on mostly 50-foot wooded lots. He also built a hotel and surrounded the whole park with a high iron fence. Pleasure seekers by the thousands sailed from downtown Toronto by steamship which docked in front of the hotel at the foot of present-day 33rd Street. They stayed for weekends, full weeks or all summer seeking a wilderness experience within close proximity to the city. Essentially they desired the ambience of Muskoka and the Kawarthas without having to make the long, difficult journey. In 1891 Long Branch was opened to development by the introduction of the Toronto Radial Streetcar Line. Then in 1906 Canada's first slab concrete highway was built along the Lakeshore Road. This brought many travellers through the community and made it ever more accessible to the cottage-goers from downtown Toronto. The cottage era lasted till the 1930’s. Most of the original vintage wooden cottages have long gone and have been replaced by modern all-season homes; however Long Branch still very much retains the inviting, rustic ambience of Long Branch Park of days gone by. They want a home near the lake or on the lake. Many buyers express an interest in being near the lake for the sense of freedom achieved by being near a large body of water. They want to be close to sailing facilities. 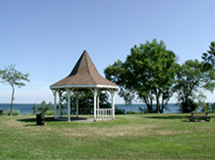 Many residents are also sailors who are interested in the close proximity to boat launches and sailing clubs including nearby Lake Shore Yacht Club. They want to enjoy a home on a large lot with a private driveway, garage and room to expand. Long Branch offers this lifestyle extensively as the original land survey provided for numerous 50 x 150 foot lots. 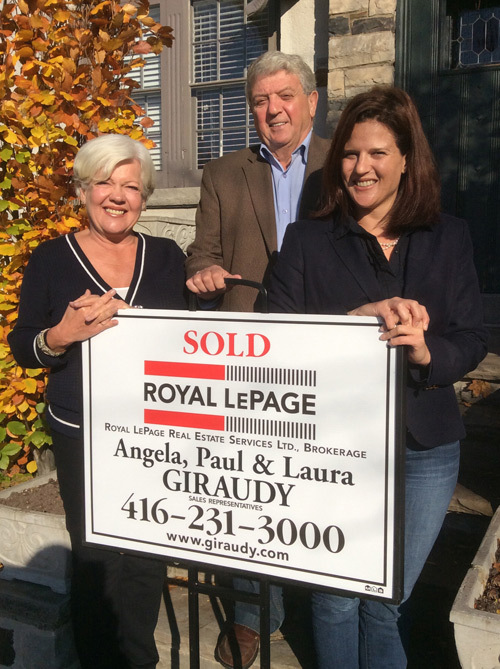 They want to enjoy the rustic "Muskoka-in-the-City" feel that this community offers. Renowned for its huge lots, meandering boulevards and towering old growth trees, Long Branch definitely radiates that distinctive, serene cottage-country ambiance to this day. They want to be close to Toronto but equally close to Mississauga, the QEW/401 and the airport. Long Branch is particularly attractive to the downtown commuter because of the nearby GO train; and it appeals to couples where he works in Mississauga or beyond and she works at King and Bay. 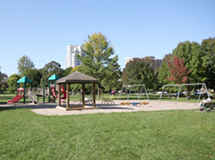 This community is served by several public schools including 20th Street Junior, James S. Bell Junior-Middle, Lakeshore Collegiate and the Etobicoke School for the Arts. Early French Immersion is provided at the new Sir Adam Beck Junior School in Alderwood. Separate schools include Christ the King Junior-Middle School at the top of 37th Street and the new Father John Redmond Catholic Secondary School and Regional Arts Centre, located in the grounds of the former Lakeshore Hospital next to Humber College. There is good ol’ fashioned street shopping all along Lakeshore Boulevard including a super-sized Rexall and Shoppers Drug Mart. There’s also a No Frills supermarket, great ethnic restaurants, several new car dealerships, wonderful all-day breakfast restaurants curiously named the Greek Texan and George the Greek and there’s Donato's famous School of Hair Design. Long Branch offers a whole range of housing stock including 2-bedroom cottages, 3-bedroom 2-storeys, brand-new infill homes and multi-million dollar waterfront mansions. A current and significant—but controversial—trend throughout the community is seeing professional builders sever 50-foot lots and build 2 new 2500-3000 square foot detached homes. Long Branch is currently benefiting from a new official planning initiative called Main Street Intensification which is seeing the development of medium-rise condos with new retail stores along Lakeshore Boulevard such as Minto Longbranch Urban Towns and Watermark by Queenscorp.